Interesting message from Dov Silverman! 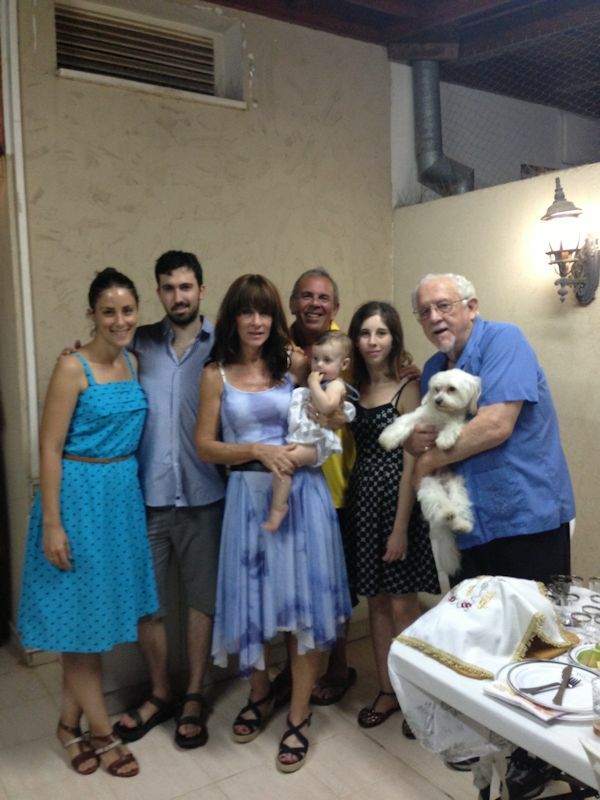 From left to right Anav and Niv, Barbara, Raymond and great-granddaughter Shira, with Loriel and me holding Bailey. While we were celebrating the Rosh Hashanah meal which Raymond and Barbara prepared, we were visited by a pigeon that wouldn’t leave. The bird seemed to like me and we took it as a sign of Good Luck for the New Year. 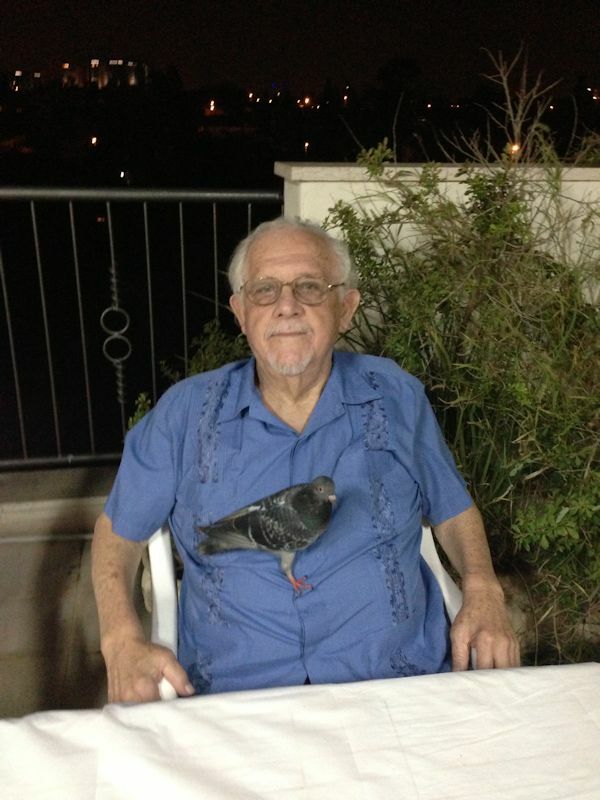 This entry was posted in just talk and tagged bird, good luck, new year, pigeon by Spearcarrier. Bookmark the permalink.